Interrupt: When Acolyte of the Waves is killed, gain 1 power for your faction. 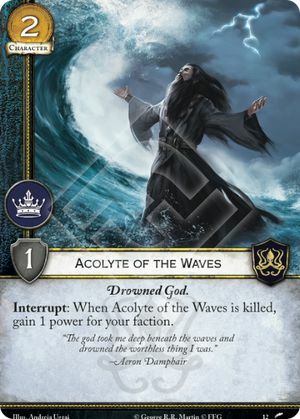 If Acolyte of the Waves is saved, you cannot trigger his interrupt and gain 1 power. He has to actually be killed.